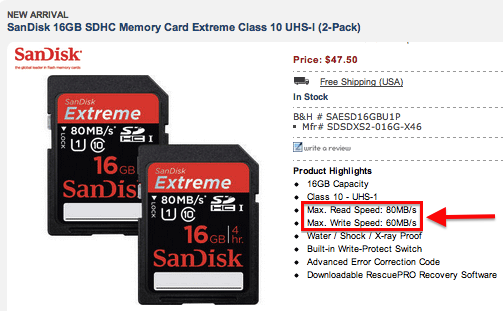 B&H is currently selling two SanDisk 16GB SDHC Extreme class 10 UHS-I memory card for $47.50. Note that those cards are new versions with improved read/write speed: maximum read speed is 80MB/s and maximum write speed is 60MB/s. $100 mail-in rebate on the Tamron SP 70-200mm f/2.8 Di VC USD lens for Canon, Nikon, and Sony mounts. This entry was posted in Deals, SanDisk. Bookmark the permalink. Trackbacks are closed, but you can post a comment.